As we gear up for TEXSOM 2017, where WSET are proud education partners, who better to talk to than Eric Hemer, Senior Vice President and Corporate Director of Wine Education at Southern Glazer’s Wine & Spirits, to find out more about the US wine market’s development and the importance of formal education to the industry. How did you first get into wine and where did your passion for education stem from? I was working in a restaurant in West Palm Beach, Florida in 1983. The general manager was a wine buff and we had one of the best wine programmes in the area, including a 12 bottle Cruvinet system for wine by the glass, which was very innovative for the time and place. We had staff meetings for wine appreciation every Saturday morning at 9.00am, which all the staff hated, except for me – I was hooked after the first one. I fell in love with not just wine in general, but in the background, the history, the geography, everything about it. And of course, the additional benefit was that I became much more enthusiastic and confident in suggesting wine to customers, which led to increased sales and more income. I enjoyed relating stories about wine to my customers, which in turn led to a passion for wine education. What are the most significant changes you’ve witnessed during your time in in the industry? I find it hard to believe sometimes, but I’m coming up to my fourth decade in the industry! Choice. When I started selling wine in the on-trade beginning in the late ‘70s, France was the dominant source for wine, with a smattering of German labels and a few inexpensive branded Italian wines. I don’t remember selling any New World wines at all until the early ‘80s when Californian wines began their rise. Fast forward to today and the consumer has an incredibly broad array of choices in wine at all price points, varieties and regions of origin. Everyday consumption. Speaking from an American point of view, the general awareness and acceptance of wine – and the accompanying increase in consumption – in the US has grown dramatically over the past few decades. Quality. The general quality of popularly-priced wine is dramatically better and more consistent today than it was back then, due to better production methods, allowing consumers to enjoy clean, fresh, fruity wines at basic price points. Packaging. Who knew back then that we’d be soon be drinking wine from bags, boxes, cans and kegs? Education is critical to success as a wine and spirits distributor today. You teach for WSET, the Court of Master Sommeliers, the Society of Wine Educators and the Institute of Masters of Wine. How do you think the different programmes complement – or compete with – each other? Firstly, I am a firm believer in the “a rising tide floats all ships” philosophy. The simple fact that all four of these educational and examining bodies are growing rapidly in popularity around the world is a great benefit to the wine industry in general. From that perspective, I believe they are mostly complementary. 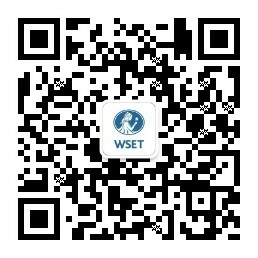 From an American point of view, the WSET and SWE programmes are the most similar. The CMS is designed for the on-trade – sommeliers, wine managers and waitstaff – so is unique in that respect. And of course, obtaining the WSET Diploma, a great accomplishment in and of itself, is very good preparation for those considering the IMW programme. Southern Glazer’s Wines & Spirits has more certified wine experts than any other North American wine and spirits distributor. Why is accreditation so important to SG and what role does education play within the company? Education is critical to success as a wine and spirits distributor today. The consuming public are more knowledgeable and better informed than ever before, and therefore our personnel must have equivalent or even greater knowledge to meet or exceed our customer’s needs in the most satisfactory fashion. At Southern Glazer’s, education is one of the primary tenets in our go-to-market strategy, starting at the very top of our organization, with our owners. Accreditation has become very important to the industry in general as a way of demonstrating levels of knowledge from proficiency to expertise. In your role you oversee wine education endeavours across 44 states, plus Washington DC, Canada, and parts of the Caribbean. How do you tailor the approach to suit so many different markets? Most importantly, I couldn’t possibly do an effective job by myself covering such a vast and diverse area, so I am very gratified to have been able to create a wine education team who have been very effective in achieving our goals using a mixed learning platform. All my team members have achieved high levels of certification themselves. By offering a wide variety of education and certification platforms, including our own Foundations Wine and Spirit Courses, WSET, CMS, SWE and IMW, we are able to find the right option for individual employees. Given the current wine market in the USA, what trends do you predict for the future? I predict even greater consumer willingness to explore new wine styles, regions, grape varieties and price points as Millennials (now officially the largest consumer group) continue to mature and gain greater spending power. They started exploring wine at an earlier age than any group previously, don’t have many preconceived notions about wine and are widely experimental, so I think previously obscure varieties, styles and regions of origin will become more mainstream. Five years ago, hardly anyone knew varieties such as assyrtiko, bonarda, furmint, or saperavi; now you can drink them by-the-glass. The upside to this is that there will always be work to be done educating our customers!